Arsenal dropped more points this past weekend, failing to put the game to bed against Crystal Palace. After taking an early lead through Alexis Sanchez the Gunners had countless chances to extend, but with the score left at 1-0 the visitors always had hope of getting back into it. It was a slow start, but Arsenal still looked the dominant side. They were frustrated by Alan Pardew’s defence, but eventually got what looked like a really important goal. Danny Welbeck put a great chipped ball over the back of the defence, with Alexis running onto it. He lobbed a header over Wayne Hennessey, and having scored right before half time you wouldn’t have been surprised had Arsenal gone on to run away with it. That wasn’t the case though, as they continued to waste chances and not make the most of their massive possession advantage. There was a lack of urgency going forward, with Palace given plenty of time to get organised and make sure there were no cracks in their back line. Hector Bellerin was getting a lot of joy down the right hand side, linking up well with Alexis Sanchez and Mesut Özil. His end product was woeful though, and he consistently hit the first man with his painfully average crosses. 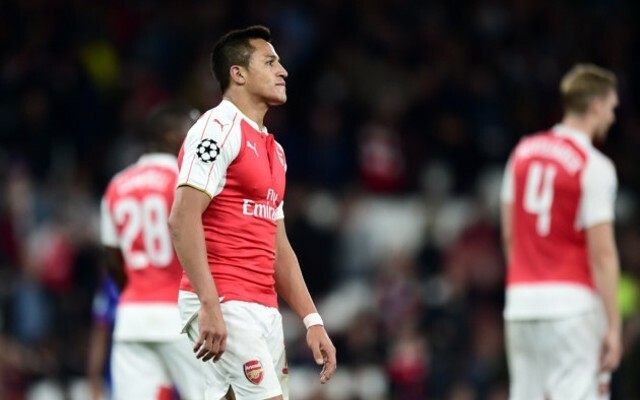 There were several chances created both for and by Alexis Sanchez and Mesut Özil, but none were taken. The German should have scored after being put through on goal, but he was kept out by the keeper. He also saw a free kick flash inches wide, and as the game wore on sections of the Arsenal stadium were growing concerned. They were right to be so, as Palace eventually equalised. Yannick Bolasie – who has been in poor form recently – drove towards goal, and Francis Coquelin failed to close him down adequately and block the shot from distance. Petr Cech was then beaten far too easily at his near post, with the former Chelsea man perhaps mistakenly believing the shot was heading toward the opposite corner. It was then Palace who looked the more likely to go on and get the winner, with Arsenal visibly shaken. Counter-attack after counter-attack threatened to rob Arsene Wenger’s side of all three points, with one moment in particular looking certain to end in a goal. Wilfried Zaha got the better of Nacho Monreal, but Laurent Koscielny raced out to cover. His poor decision making saw a botched clearance fall straight back into the path of the Palace man though, with Zaha and Emmanuel Adebayor now two on one with Gabriel Paulista. The Brazilian did superbly though, putting a last ditch tackle in on Zaha to save at least one point. This really wasn’t anything new from Arsenal, as we’ve seen them play this way regularly this season. They have a habit of dominating possession but not making it count by taking their chances, and they are now dangerously close to missing out on top four. Earlier this season the Gunners looked like really challenging for the title, but now they have to watch their backs to make sure Manchester United don’t creep up.